Caught up in the criminal justice system? Contact Criminal Lawyer Michelle Johal now. 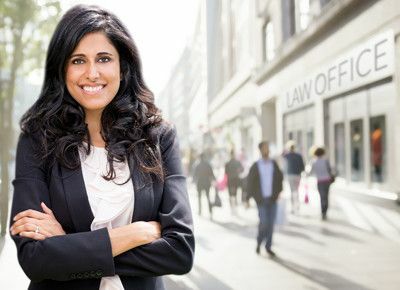 Brampton criminal lawyer, Michelle Johal, provides representation for those facing criminal charges including: ‘drunk driving’ offences including impaired driving, over 80 and refusal, dangerous driving, domestic assault and related offences, fraud, theft, breach of trust and drug related offences. For nearly a decade Brampton criminal lawyer Michelle Johal has successfully defended clients accused of all kinds of offences from routine drunk driving offences to manslaughter. She practices criminal law exclusively. She has experience vigorously defending the rights of those who have been charged with various criminal offences. Michelle Johal is an experienced Brampton Criminal Lawyer who can assist you in navigating through the various stages of a criminal proceeding and can effectively deal with Crown counsel on your behalf. She believes that since criminal law is both procedurally and technically complex the retention of an experienced Brampton Criminal lawyer at the earliest stages of the proceeding can significantly affect the ultimate disposition of your case. The Crown and the police have considerable resources at their disposal so it is important that you hire an experienced Brampton Criminal Lawyer level the playing field. Michelle Johal is available to provide a no obligation initial consultation to anyone requiring legal representation in a criminal matter. If you or someone you know has been charged with a criminal offence contact Brampton Criminal Lawyer Michelle Johal today.